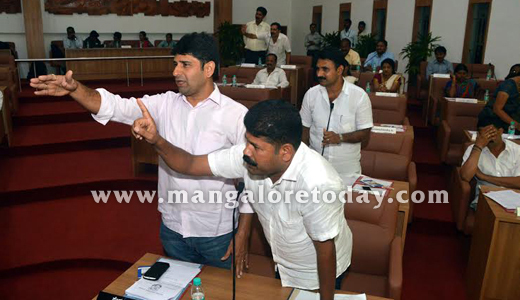 Mangaluru, March 01, 15: Mayor Mahabala Marla informed there is no change in the decision of the council in hiking SAS. The council, in July 2014, had nullified a decision of the administrator on hiking property tax by 15 per cent. As per Section 109 (A) of The Karnataka Municipal Corporations Act, 1976, rates of property tax under SAS should be revised upwards once every three years. The State government has issued a show cause notice on SAS hike to the MCC in its letter dated January 29. In the light of State government’s hold on decision of MCC on not to hike property tax under SAS by 15 per cent, the council, on February 28, decided to write to the State government to re look into the decision of the council. Kudcemp matters : The ruling and opposition members took the mayor to task for failing to convene a meeting to discuss Kudcemp works and building bylaws. Mayor said he had asked the council secretary to make arrangements for the meeting to discuss on Kudcemp works. Commissioner Hephsiba Rani Korlapati said that she has spoken to KUIDFC MD. She said that it needed to prepare a report on the work in progress so the meeting was delayed. The meeting will be convened in the month of March. The mayor stated that , if officials fail to convene a special meeting on Kudcemp work within a month, then the council will have to order for a probe into Kudcemp works. The issue on delay in the work and incomplete work should also be brought to the notice of the government. Garbage matters : Members complained that the garbage collection is not proper and waste is transported in open lorries, the MCC Commissioner said that she has already issued notice to the contractor Antony Waste Handling Cell Pvt Ltd on a few faults. 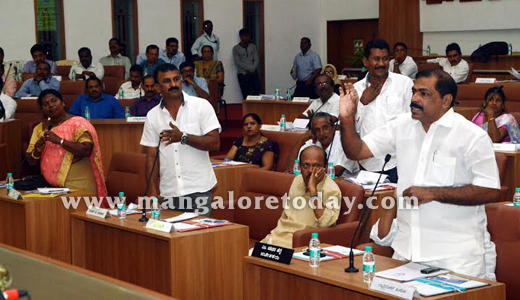 She informed that the Mulki TMC and Ullal CMC was asked to furnish details on the quantities of garbage being brought to the Pacchanady dump yard. 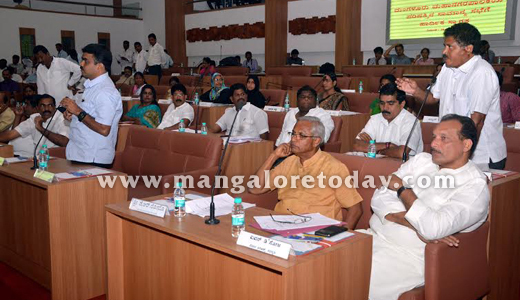 There has been no record on the garbage in Mulki and Ullal areas. Members expressed their ire over the delay in the completion of Town Hall renovation. The Hon Mayor said if it is delayed further then alternative arrangement will have to be done for programmes to continue. Many minor issues were also discussed.